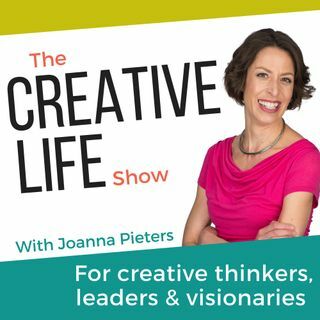 Creativity podcaster Joanna Pieters talks to highly creative people about the joys and challenges of being a creative in an un-creative world. We talk about how to get creative work done, how to get your work noticed, how to get people on side, how to build a tribe, and how to create more of the work that you believe in. people who have created extraordinary things. In addition, you’ll discover the latest thinking on innovation, brain science and creative productivity. Whether you want to ... See More revolutionise your job, inspire your team, complete a novel or start a business, the Creative Life Show gives you the practical tools, the inspiration, resources and motivation to unleash your most powerful creative expression. Get more resources, inspiration and motivation at www.creativelifeshow.com.